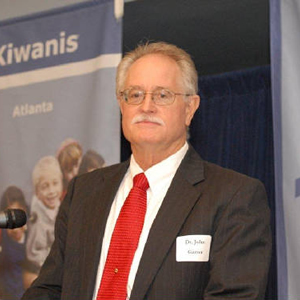 John W. Garver is Professor Emeritus in the Sam Nunn School of International Affairs at the Georgia Institute of Technology. He is a member of the editorial boards of the journals China Quarterly, Journal of Contemporary China, and the Journal of American-East Asian Relations, and a member of the National Committee on U.S.-China Relations. He is the author of eleven books and over one-hundred articles dealing with China’s foreign relations. His books include: China’s Quest: A History of the Foreign Relations of the People’s Republic of China (Oxford University Press, 2016); The Protracted Contest, China-Indian Rivalry in the Twentieth Century and Face Off: China, the United States, and Taiwan’s Democratization (2000 and 1997, both by the University of Washington Press); The Sino-American Alliance (East Gate); Nationalist China and U.S. Cold War Strategy in Asia (M.E. Sharpe, 1997); The Foreign Relations of the People’s Republic of China (Prentice Hall, 1993; this is one of the most widely used textbooks on PRC foreign relations); Chinese-Soviet Relations, 1937-1945: The Diplomacy of Chinese Nationalism (Oxford University Press, 1988); and China’s Decision for Rapprochement with the United States (Westview, 1982). Dr. Garver has received grants from the Fulbright Foundation, the Smith Richardson Foundation, the U.S. National Academy of Science, the U.S. Department of Education, the Chiang Ching-kuo Foundation, and the U.S. Institute for Pakistan Studies. He has lived in various parts of China for over six years, has traveled widely throughout Asia, has conducted formal research in a number of Asian countries, is fluent in Chinese and has taught that language to his two children. He served in the U.S. Army from 1969-71. He also speaks German. “China’s South Asian Interests and Policies.” U.S.-China Commission. Washington, D.C., 14 July 2005; Testimony posted on U.S.-China Commission website, www.uscc.gov. John W. Garver, China Quarterly review essay on US-China relations, The China Quarterly, 2016. John W. Garver, The Diplomacy of a Rising China in South Asia, Orbis, May 2012, pp.391-411. John W. Garver and Fei-Ling Wang, “China’s Anti-encirclement Struggle”, Asian Survey 6.3 (2010), p.238-261. John Garver, Flynt Leverett and Hillary Mann Leverett, Moving (Slightly) Closer to Iran: China’s Shifting Calculus for Managing Its “Persian Gulf Dilemma”, Asian-Pacific Policy Papers Series, The Edwin O. Reischauer Center for East Asian Studies, Washington, D.C., October 2009. “China’s Influence in Central and South Asia; Is it Increasing?”, in David Shambaugh, editor. Powershift. Stanford: Stanford University Press, 2005. “China’s Decision for War with India in 1962,” in New Approaches to the Study of Chinese Foreign Policy, Robert S. Ross and Alastair Iain johnston, Stanford University Press, 2005. “Interpreting China’s Grand Strategy,” China Brief, Vol.5, No.15 (July 2005), available under publications at http://www.jamestown.org. “China-Iran Relations,” 14 July 2005, Woodrow Wilson Center for International Scholarship, Washington, D.C. Available at www.wilsoncenter.org. “China’s U.S. Policies,” chapter in China Rising: Power and Motivation in Chinese Foreign Policy, Fei-ling Wang and Yong Deng, editors, 2004, 201-243. “China’s Kashmir Policies,” India Review, vol. 3, issue 1 (January 2004). “India, China, the United States, Tibet, and the Origins of the 1962 War,” India Review, 2004, forthcoming. “Mao Zedong E Raspad Ketaysko-Sovetskeh Otnasheney 1956-1966,” (Mao Zedong and the Breakup of Chinese-Soviet Relations, 1956-1966), in Festschrift published for Michael Titarenko, long-time head of the Institute of Far Eastern Studies of the Russian Academy of Sciences, Moscow, Russia, 2004. “The [former] Coming War with America,” Journal of Contemporary China, August 2003, Vol. 12, No. 36, p. 575-585. “China,” chapter in The Origins of World War Two, The Debate Continues, Robert Boyce and Joseph Maiolo, editors, Longon: Palgrave Macmillan, 2003, p. 190-203. “Mao’s Soviet Policies,” The China Quarterly, No. 173 (March 2003), p. 197-213. “The Opportunity Costs of Mao’s Foreign Policy Choices,” The China Journal, No. 49, January 2003, p. 128-135. The Security Dilemma in Sino-Indian Relations,” The India Review, vol. 1, no. 4 (October 2002), p. 1-38. “The China-India-U.S. Triangle: Strategic Relations in the Post-Cold War Era,” NBR Analysis, vol. 13, no. 5 (October 2002), p., 5-56. “The Sino-Pakistan Entente Cordiale and the Future Accommodation of India and China,” South Asia in 2020: Future Strategic Balances and Alliances, Michael R. Chambers, editor, Carisle, PA: Strategic Studies Institute, with Stanford University, Asia and Pacific Research Center, November 2002, p. 385-447. “Sino-American Relations in 2001; the difficult accommodation of two great powers,” International Journal, Spring 2002, p. 283-310. “The Gestalt of Sino-Indian Relations,” in The Rise of China in Asia: Security Implications, Carolyn W. Pumphrey, editor, Carisle, PA: Strategic Studies Institute, with Triangle Institute for Security Studies, Duhram, North Carolina, January 2002, p, 263-285. “Remembering the 1962 India-China Conflict; Could it Happen Again?,” rediff.com, Special Series: 40 Years after the 1962 war, 6 November 2002. Online symposium commemorating the 1962 war. “More from the Say No Club,” The China Journal, No.45, January 2001, pp.151-158. “The Restoration of Sino-Indian Comity following India’s Nuclear Tests,” The China Quarterly, No. 168, (December 2001), p. 864-888. “Sino-American Relations,” in The Oxford Companion to Politics of the World, 2nd edition, New York: Oxford University Press, 2000. “Forward,” in the Eyes of the Dragon; China Views the World, Yong Deng and Fei-ling Wang, editors, Boulder: Rowman and Littlefield, 1999, p. vii-xi. “Sino-Russian Relations,”in Samuel Kim, editor, China and the World, Chinese Foreign Policy Faces the New Millennium, 4th edition, Boulder: Westview Press, 1998, p. 114-132. ” China As Number One,” The China Journal, No. 39 (January 1998), p. 61-66. Will China Be Another Germany?, Published Paper prepared for U.S. Army War College Annual Strategy Conference, China into the 21st Century, April 1996, Carlisle Barracks, Pennsylvania. ” The PLA as an Interest Group in Chinese foreign Policy,” in The Chinese People’s Liberation Army, Mark Weisenbloom, Dimon Liu and Denny Lane, editors, New York: Kegan Paul, 1996, p. 246-81. “Little Chance,” Diplomatic History, Vol. 21, No. 1, (Winter 1997), p. 87-94. “Sino-Indian Rapprochement and the Sino-Pakistan Entente,” Political Science Quarterly, Vol. 111, No. 2, (Summer 1996), p. 323-347. ” China and the Tet Offensive,” in The Tet Offensive, William Head and Marc Gilbert, editors, Greenwood Publishers, 1996. “Why China Decided to Resort to Military Coercion,” in China-Taiwan; Chinese Perspectives on the Crisis in the Straits, Science Applications International Corporation, report prepared for Office of Secretary of Defense, October 1996. “Commentary” (On paper by Ross H. Monro), in After Empire, The Emerging Geopolitics of Central Asia, Jed C. Snyder, editor, National Defense University, 1995, p. 223-26. Taiwan, China, and the United States; the question of Taiwan membership in the United Nations, The Atlanta Papers, Number 1. Denter for International Strategy, Technology and Policy, Georgia Institute of Technology, September 1995. ” Polemics, Paradigms, Responsibility, and the Origins of the U.S.-PRC Confrontation in the 1950s,” Journal of American East Asian Relations, Vol. 3, No. 1 (Spring 1994), p. 1-34. Lead article in issue. “The U.S. strategy of Graduated Escalation and the Problem of Chinese Entry into the Vietnam War,” Looking Back on the Vietnam War, William Head and Lawrence E. Grinter, editors, Westport, CN: Westview, 1993, p. 105-117. “China, German Reunification and the Five Principles of Peaceful Coexistence,” Journal of East Asian Affairs, Vol. VIII, No. 1 (Winter/Spring 1994), p. 135-172. “China and the New World Order,” in China Briefing, 1992, William Joseph, editor, New York: The Asia Society, 1993, p. 55-80. ” China’s Wartime Diplomacy, 1937-1945,” China’s Bitter Victory: The War with Japan, 1937-1945, Steven I. Levine, editor, New York: M.E. Sharpe, 1992, p. 3-32. ” The Chinese Threat in the Vietnam War,” Parameters, Vol. xxii, No. 1 (Spring 1992), p. 73-84. “Comment: Mao, the Comintern and the Second United Front,” China Quarterly, No. 129 (March 1992), p. 172-79. “China and South Asia,” Annals of the American Academy of Political and Social Sciences, Vol. 519 (January 1992), p. 67-85. “Sino-Indian Rivalry in Nepal; the question of Chinese arms sales to Nepal,” Asian Survey, Vol. xxxi, No. 10 (October 1991), 956-75. ” Chinese Foreign Policy: The Diplomacy of Damage Control,” Current History, September 1991, p. 241-46. Republished in Annual Editions: World Politics 92/93, Helen E. Purkitt, editor, Guilford, Conn.: Dushkin Inc., 1992. ” The Indian Factor in Recent Sino-Soviet Relations,” China Quarterly, No. 125 (March 1991), p. 55-85. ” The Soviet Union and the Xian Incident,” Australian Journal of Chinese Affairs, No. 26 (July 1991), p. 145-175. “New Light on Sino-Soviet Relations: the Memoir China’s Ambassador to Moscow, 1955-1962,” China Quarterly, No. 122 (June 1990), p. 303-307. “The ‘New Type” of Sino-Soviet Relations,” Asian Survey, Vol. xxix, No. 12 (December 1989), p. 1136-1152. “Peking’s Soviet and American Policies: Toward Equidistance,” in Peking’s Foreign Policy in the 1980s, David S. Chou, editor, Taibei: Institute of International Relations, 1989, p. 116-38. “The Development Imperative and Beijing’s Triangular Policy: A Reinterpretation,” Mainland China After the Thirteenth Party Congress, King-yuh Chang, editor, Boulder: Westview, 1990, p. 271-294. ” China’s Response to the Strategic Defense Initiative,” in China’s Military Modernization, Larry Wortzel, editor, Westport, Conn. Greenwood Press, 1988, pp. 126-148. “Wang Ming,” in Encyclopedia of World Biography, New York: Macmillan Publishing Company, 1985. “The Reagan Administration’s Southeast Asian Policy,” in U.S.-Asian Relations, James Hsiung, editor, New York: Praeger, 1983, p. 85-130. “The Development Imperative and Beijing’s Triangular Policy: Toward Equidistance,” Issues and Studies, Vol. 24, No. 10 (October 1988), p.55-77. “Getting to Mars,” Orbis, Summer 1988, p. 403-409. ” The Origins of the Second United Front: The Comintern and the Chinese Communist Party,” China Quarterly, No. 113 (March 1988), p. 29-59. Published in Chinese as “Di er zi guo gong hezuo de youlai: gongchan guoji yu zhongguo gongchandang,” Fujian dangshi yuekan, 1988, No. ll, and in Jiangxi dangshi yanjiu, 1989, No.2. Debate regarding in: “Comment: Mao, The Comintern, and the Second United Front,” China Quarterly, No. 129 (March 1992), p. 171-77. “Policy Toward China,” Orbis, Spring 1988, p. 295-297. ” Indian-Chinese Rivalry in Indochina,” Asian Survey, Vol. 27, No. 1 (November 1987), pp. 1205-1219. “Chiang Kai-shek’s Quest for Soviet Intervention in the Sino-Japanese War,” Political Science Quarterly, Vol. 102, No. 2 (Summer 1987), pp. 295-316. “China’s Response to the U.S. Strategic Defense Initiative,” Asian Survey, Vol. 26, No. 11 (November 1986), pp. 1220-1239. “The Taiwan Question in Sino-U.S. Relations: The Confrontation Over U.S. Arms Sales to Taiwan,” Orbis, Vol. 26, No. 4 (January 1983), pp. 999-1035. “Sino-Vietnamese Conflict and Sino-American Rapprochement,” Political Science Quarterly, Vol. 96, No. 3 (Fall 1981), pp. 445-464. “Comment on Sino-Soviet Relations,” China Quarterly, No. 88 (December 1981), pp. 689-90. ” The Sino-Soviet Territorial Dispute in the Pamirs,” China Quarterly, No. 85 (March 1981), pp. 107-118. “Sino-Soviet Relations in 1970: The Tilt Toward the Soviet Union,” China Quarterly, No. 82 (June 1980), pp. 214-249. “Taiwan’s Russian Option: Image and Reality,” Asian Survey, Vol. 18, No. 7 (July 1978), pp. 751-766.